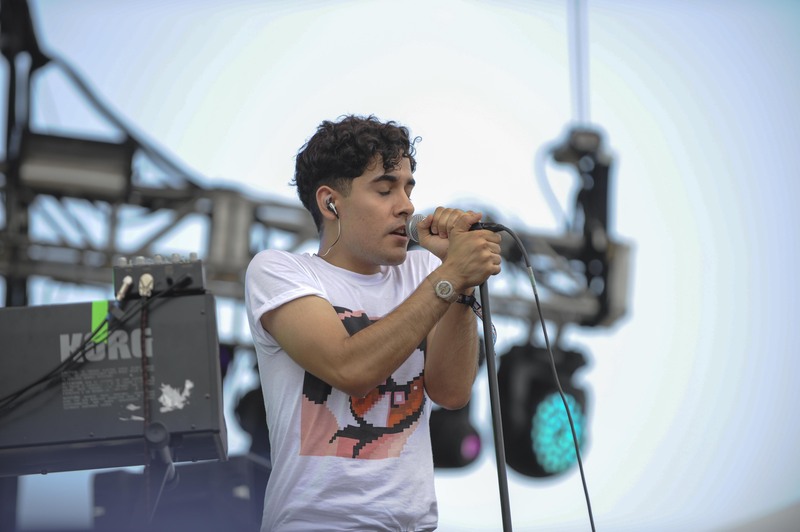 I covered Lollapalooza for the second year in a row and what a three-day-doozie that was! As I kept telling friends over and over, covering festivals is exhausting. 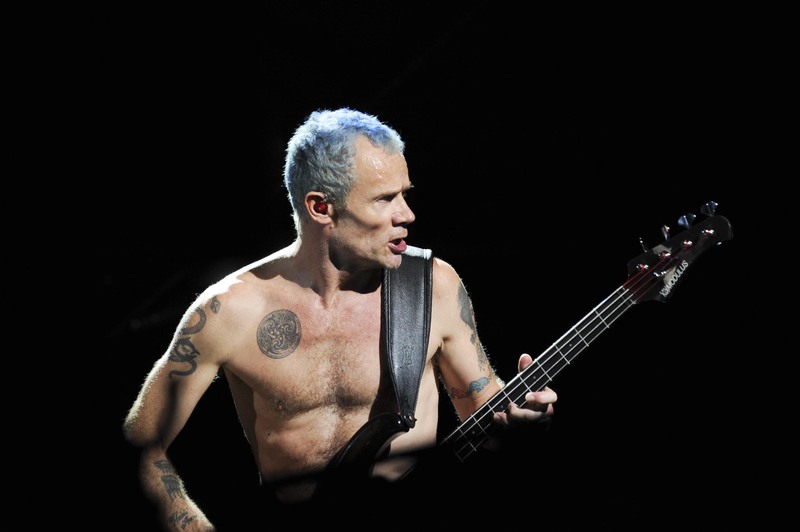 Although Saturday lost about three hours due to crazy rain and torrential downpours, the Red Hot Chili Peppers came out full force and with a vengeance against the rain. Mobs of drunk 20-something-year-olds sang along to songs like Californication, the Other Side and Under the Bridge, songs I remember from grammar school and high school. Plenty of the people who came back to the festival after the two hour break came back drunk, which made for an interesting night. It took me about 15 minutes to get from the photo pit entrance out to the street, sifting through drunks who couldn’t walk straight and others who were just as fed up as I was with the day and mobs of people. Sunday was quite eventful and more chill than the other days. With time to catch At the Drive-In and see pieces of Florence + The Machine, I didn’t really stick around for Jack White or any of the other closing acts. I had had enough. 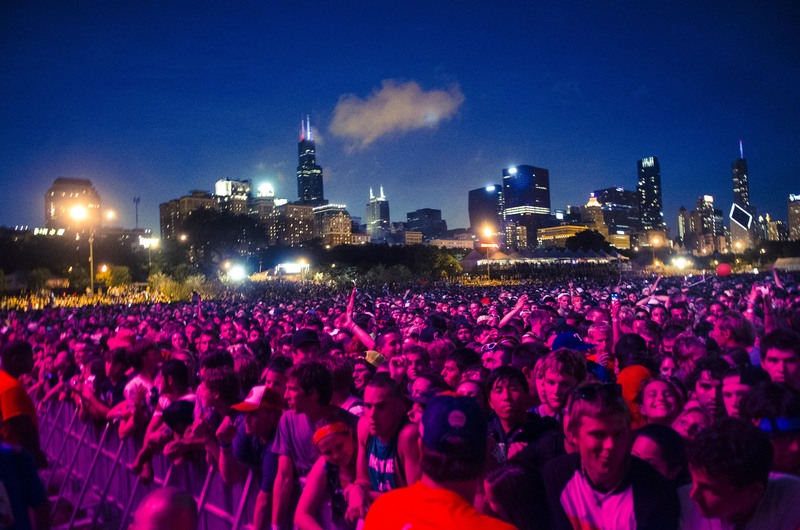 After counting, Lollapalooza 2012 was the ninth music festival that I’ve covered. And I’m not done yet this year. 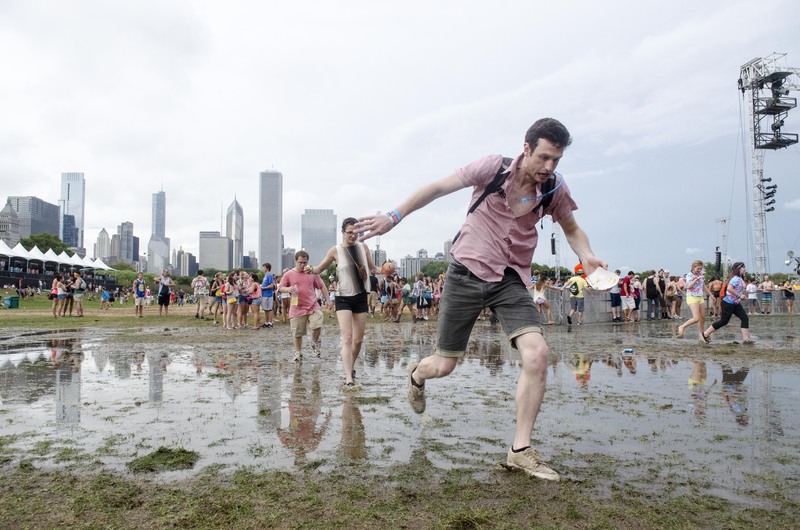 Because of that, I put together a list of ways you know you’re covering Lolla or any other music festival for that matter, because in the heat, sun, humidity, rain, storms, elbowing the crowd, it’s all the same. You know you’re covering Lolla when the highlight meal of the day is a fruit and nut bar and water in a box. Or beer. Solo. You know you’re covering Lolla when cameras weigh 20 lbs and lenses are as long as your forearm. You know you’re covering Lolla when you hear complaints in the tent about time, songs and attendees. You know you’re covering Lolla when you come to grips with losing something or having to throw something out after the weekend. For example, losing chargers, contacts, sunglasses, your seat and having to throw out shoes, note pads and attempting to salvage anything that was dropped or had water damage. You know you’re covering Lolla when you curse the short sets of the bands you actually wanted to see. Or curse the fact that you have to leave half way through the set to catch other bands. You know you’re covering Lolla when people unpack cameras, laptops, ipads, extra keyboards and their own outlet strips. You know you’re covering Lolla when a shower, silence and being alone on Monday sounds like heaven. You know you’re covering Lolla when media become friends and not competitors. Except for the photo pits when everyone becomes savages. You know you’re covering Lolla when you scoff at tables reserved for theTribune, Sun Times or Getty. You know you’re covering Lolla when walking a mile in less than 10 minutes doesn’t phase you. You know you’re covering Lolla when you thank the heavens that you don’t have to use the public port-o-potties. You know you’re covering Lolla when you drink boxes and boxes of water but never use the bathroom. Hello dehydration! You know you’re covering Lolla when you get impatient and just want to hear the band play the “good” songs. You know you’re covering Lolla when free anything doesn’t matter anymore, but privilege never gets old. Next Who are these “Latinos” you speak of?